Lot 225 48 Brunello Boulevard, Timberlea (MLS® 201905174): The Links at Brunello, a one of a kind resort style living, golf community, 5 minutes to Bayers Lake, 15 minutes to downtown Halifax and direct access to Highway 103. This unique community is nestled within an award winning golf course but is not only for the golf enthusiast, this “resort style” community offers tennis, kayaking/canoeing, cross country skiing, snow shoeing and much more! Phase II is NOW OPEN and this is one of the first to be built in this phase. 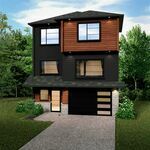 This FH Development Group built "Energy Star" home is exquisitely finished on all 3 levels; well thought floor plan features an open concept main floor with o/s windows throughout, convenient built-in garage and concrete driveway. Visit the MODEL HOME at 82 Maple Grove Avenue SUNDAYS between 1-4pm for all the details of this rapidly growing community!